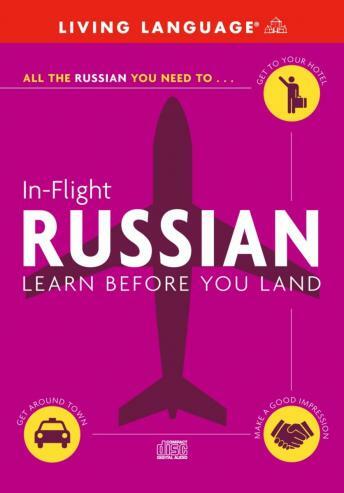 Listen to "In-Flight Russian" on your iOS and Android device. Living Language In-Flight Russian is the perfect boarding pass to learning Russian before you land. There's no better way to make use of all that spare time on a plane than to master the essentials of a language. This 60-minute program is the simplest way to learn just enough to get by in every situation essential to both the tourist and business traveler. The program covers everything from greetings and polite expressions to asking directions, getting around, checking into a hotel, and going to a restaurant. There are even sections for meeting people and spending a night on the town.